This year SGCNZ NSSP will be held from the 29th of September to the 7th of October in Wellington. SGCNZ’s National Shakespeare Schools Production (NSSP) is a week-long intensive course, studying aspects of Shakespeare’s works and three of his plays in particular under the direction of leading directors. High calibre tutors take workshops with the whole group for half of each day. For the other half, the students, in their three groups, rehearse with their Director and group for the week, culminating in public performances of scenes from the play each cast has studied. Other experiences are added into the schedule! A residential course held each year in the September/October school holidays, it is based primarily in boarding schools in a different part of the country each year, with the performances either in school halls, local theatres or, if in Wellington, sometimes in the Legislative Chamber of Parliament. Plus the Costume and Music Competition Winners. All must be 15 or older on 1 March of the year of NSSP. In addition to the 24 chosen through this process, another 22 are selected to attend NSSP from the 550 or so participants in the National UOSWSF by 3 specially appointed Selectors, in association with the 3 Award Assessors. The Winners of the SGCNZ/Morrison Trust Shakespeare Music Composition Competition and SGCNZ Shakespeare Costume Design Competition attend NSSP as Student Composer and Costumier. The constructed four winning costumes designs are exhibited at Shakespeare’s Globe during July/August and are displayed during NSSP. At NSSP, indicative costuming is created by the Costumier to fulfil the concepts of the Directors, while the Composer works closely with the Directors to compose songs, linking music, background music and sound effects. There is a fee of approx $1100 for each participant. SGCNZ’s NSSP is an invaluable total package of learning experiences, arts based and personally. Throughout the lead up and week itself, the Directors, Workshop Tutors, CEO and others interacting with these students, evaluate them as team players who have a ‘sponge-like’ attitude and can gel as a group. 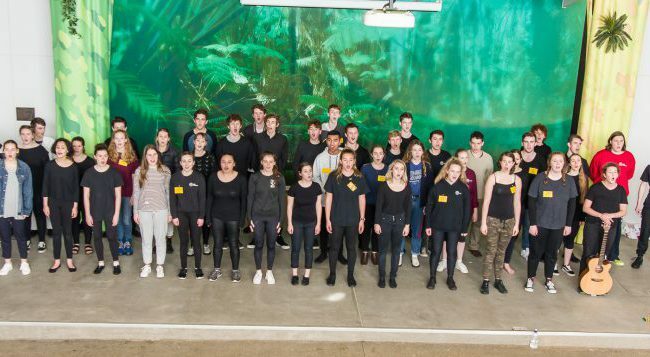 Of the 48 highly talented students, a group of 24 of them is chosen to form SGCNZ Young Shakespeare Company, which travels to the Globe the following year. The SGCNZ National Shakespeare Schools Production 2018 was held at Tolcarne Boarding Residence, Dunedin from 29 September-7 October 2018, with public performances on Friday 8 October at College of Education Auditorium, University of Otago, and Saturday 6 October. Scenes from Love’s Labour’s Lost, The Taming of the Shrew and Antony & Cleopatra were directed by Jonathon Hendry, Kim Morgan and Colin Spicer respectively. Scenes from The Winter’s Tale directed by Robin Payne, The Comedy of Errors directed by Peter Hambleton, and The Taming of the Shrew directed by Eleanor Bishop were performed by some of NZ’s most talented students. The SGCNZ National Shakespeare Schools Production 2017 was held at Scots College, Wellington from 1-9 October 2017, with public performances on Saturday 7 October at Te Aro Room, Mac’s Function Centre, and Sunday 8 October at the Wild Theatre, Wellington Zoo. 400 years dead and still alive and thriving! 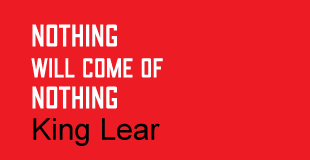 Shakespeare’s relevance is not in the least diminished and he keeps inspiring young and old. Need proof? Then you should have watched the two SGCNZ NSSP performances on 30 September and 1 October. The SGCNZ National Shakespeare Schools Production 2016 was definitely a show full of pure energy, young talent and, of course, the beautiful language and iconic characters who have survived the past 400 years, perpetuated and celebrated by SGCNZ throughout its 25 years! SGCNZ NSSP 2016 was held at Otago Boys’ High School Hostel. On the menu in 2016 were: Macbeth directed by Stuart Devenie, Julius Caesar directed by Colin Spicer and The Comedy of Errors directed by Kim Morgan. Last year’s SGCNZ NSSP was held at the Silverstream Retreat in Upper Hutt. The tightly packed week of Workshops and Rehearsals culminated in public performances featuring a 48 strong cast performing scenes from Pericles, Much Ado About Nothing and As You Like It. Performances took place on 3 & 4 October at Expressions and Parliament’s Legislative Chamber. SGCNZ NSSP 2014 was at Otago Boys’ High School in Dunedin from Saturday 27 September to Sunday 5 October. For SGCNZ NSSP 2013, the 48 students spent the week working with directors Stuart Devenie, Rachel Henry and Tim Spite on scenes from Cymbeline, Pericles and Richard III. There were then two fabulous performances, one at Scots College and the other in the Legislative Chamber, Parliament. We hope you got a chance to see these fine young people at work.